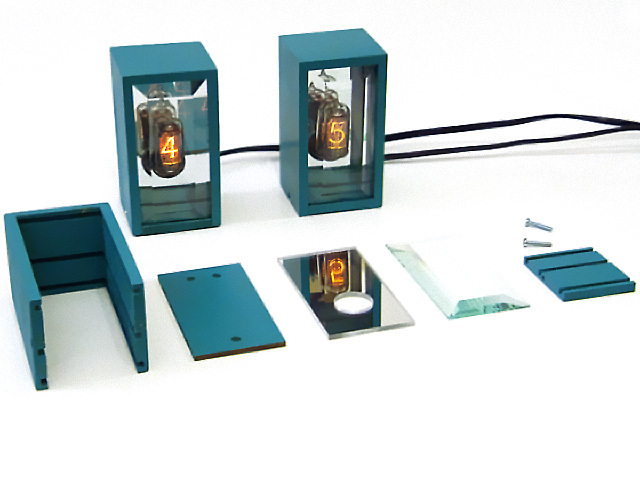 This clock uses a very attractive UK made HIVAC XN12 nixie tube, mounted in a hand made acrylic case with a bevelled crystal glass window. It is an edition of four clocks only. 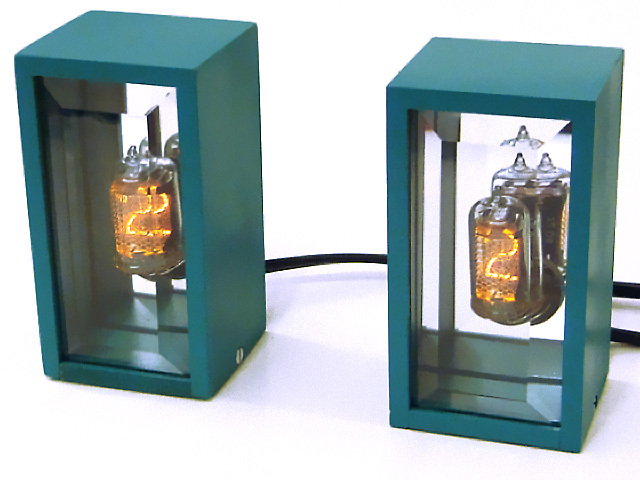 I had this idea of mounting the nixie tube through a piece of mirror, in such a way that it was not obvious how the tube was supported or getting its power and looks as if it is floating in mid air. I think it succeeds quite well. I bought some crystal glass panels with a wide, shallow, bevel which I thought would go well with the mirror idea. The clock obtains its power from the 230v mains, so if you live in an area of the world where this is not available please do not buy this clock. The operation of this clock shows the time as a sequence of four digits and does not have the soft fading routines featured on some of my other clocks. 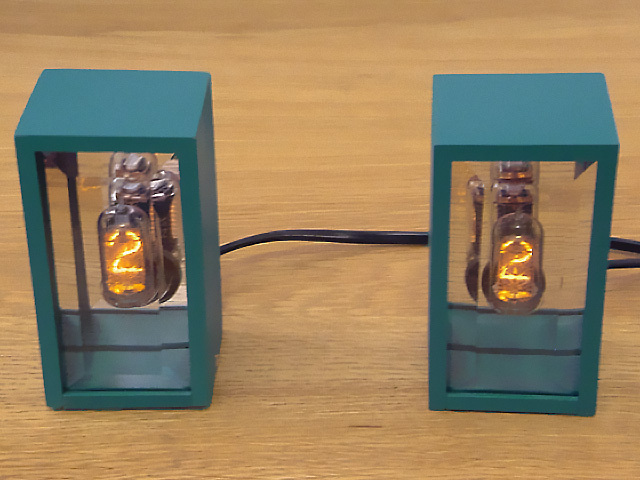 Two of these clocks are still for sale for £80 + shipping to wherever you are. 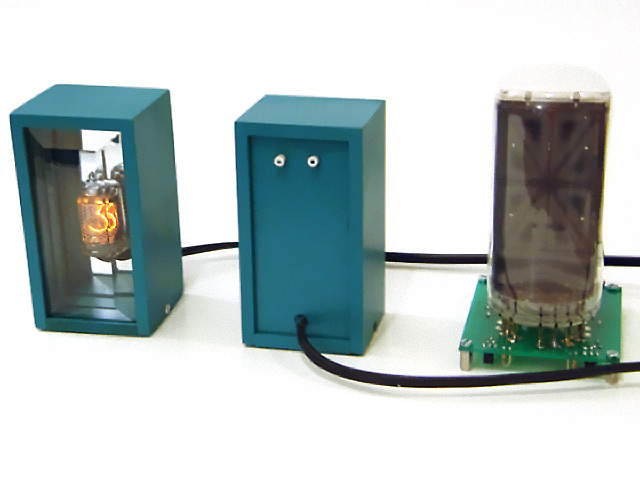 The large tube in the right hand picture above is a Burroughs B7971 nixie tube in a smartsocket, shown next to a pair of these clocks just to show scale and for fun. 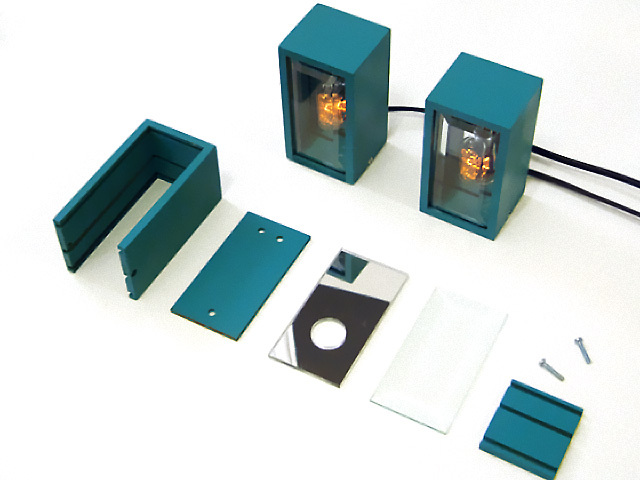 The case is made of acrylic sheet, machined to take the glass, mirror and backplate. The case is spray-painted in a matt turquoise finish.